Every year 9 million people come to the Great Smoky Mountains National Park area, and not all of them do it right. So here’s our visitor-friendly list of absolute must-read tips for a perfect visit to the Smokies! It’s impossible to do everything you could do in a single trip to the Smoky Mountains. Make a list of your priorities but don’t fill your days. Aim to create a framework of options, and don’t get too fixed on any particular one. Leave lots of room to encounter the things you don’t yet know about, or changes in weather or circumstances. 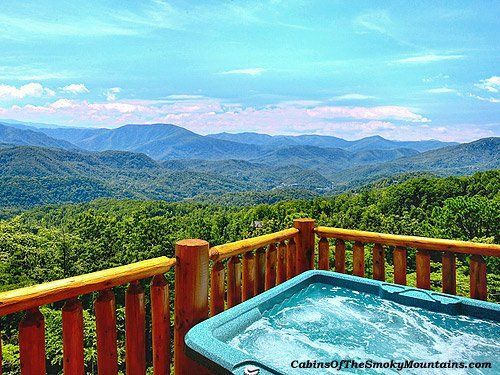 Make sure to include lots of time to do nothing – the power of the scenery and the air is something you want to pause long enough to soak up, whether from a hot tub on the cabin deck or a bench in the middle of the bustling towns of Gatlinburg and Pigeon Forge. Bring lots of layers, clothes that you’re comfortable carrying and wearing, and sensible shoes for walking around town or even some of the trail areas. It’s the moisture in the air that makes the Smoky Mountains such a magical mix of colors and scenery. But this also means the weather can change very quickly, and there’s always a chance of rain (or snow in winter). Temperatures can range quite widely between day and evening, or with elevation changes as you drive to a lookout spot or mountain attraction. Even in hot summer, when the kids go swimming make sure you have dry clothes to ward off chills later. Let’s repeat that it truly is impossible to do everything here, so advice is always welcome. Let the locals tell you the best ways to get around, and some of their favorite secret spots. But remember that other visitors can point you to vivid experiences that may be old hat to locals, who may forget what it was like for them the first time. Get a balance of opinions, then go forth and explore for yourself! If you’re staying in one of our cabins be sure to call us at 866-34-SMOKY before you come. There’s a limit to what you can figure out from web sites. Our phones are staffed 24/7 and we can tell you all the things to bring, make sure you have directions to the office before you leave home, and generally fuss over helping your trip be perfect. This is a great area for families to enjoy together and your kids will have a fantastic time if you play it right. Obviously you need to work to their different cycles of bursting energy and sudden nap time. And if you’re driving in, the art of traveling with children in the car is worth an entire article – try this great one from USAToday. There’s a massive variety of indoor and outdoor attractions with outrageous fun for kids of all ages. Take a look through our Attractions pages to get an idea. And for those indoor times in the cabin, while parents relax in rockers there are plenty of games to keep the kids active. And rain or shine, everyone enjoys just hanging in the hot tub on the deck. If you’re new to the area you’ll want to take at least a few scenic drives, one of the great fun things to do here. You’ll see wildlife everywhere, but please don’t feed any of the animals you encounter. It will shorten their lives and they have plenty to eat in the wild. This is a great area for wild animals of all kinds, especially bear and elk. But despite all the humans they see, these animals are NOT domesticated – don’t mistake cuteness for harmless. Take a look at the park ranger advice on how to enjoy the local creatures you see without spoiling their ways or your trip. 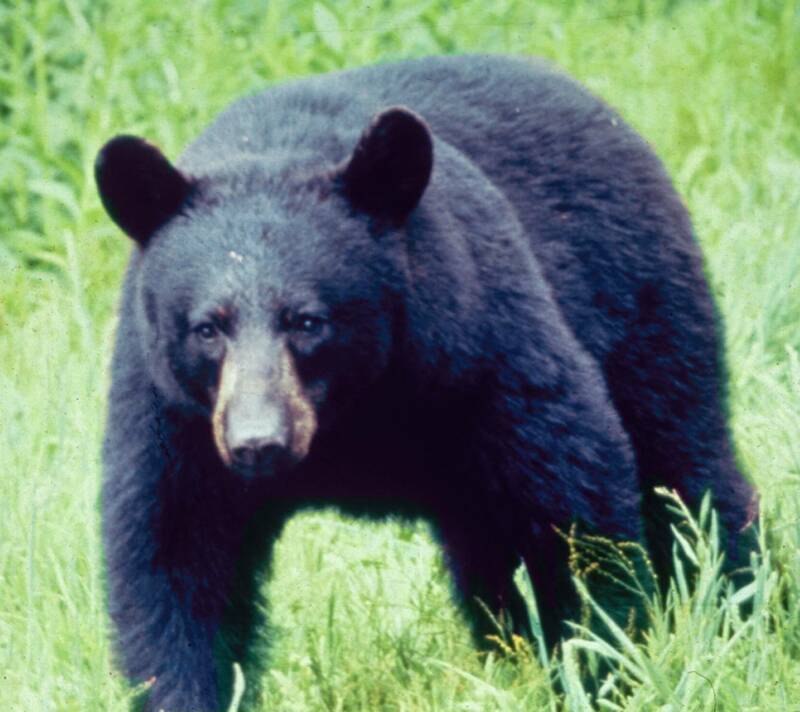 You may well see bears around your cabin, and occasionally a bear will even wander into town, although Park rangers and local authorities are pretty sharp on taking them back into the wild. Even with all the fantastic man-made entertainments in the Gatlinburg and Pigeon Forge area, it’s really true that the more you learn about the land and vegetation and animals all around, the more fun you’ll have here.